Moderation plays a crucial role in keeping our alcohol levels in check to protect various organs in our bodies especially our liver. So, how much and how frequent? Three drinks of alcohol can kill you says an international panel that already determined how much alcohol can actually damage the liver. Alcohol drinking causes at least 746,000 deaths in the world annually according to the World Cancer Research Fund International. 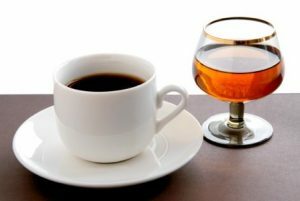 They release reports that analyzes the likely causes of liver cancer as well as prevention practices, turns out drinking coffee can defend our livers from alcohol. Fred Hutchinson Cancer Research Center epidemiologist, Dr. Anne McTiernan, is one of the researchers responsible for the study. Her group analyzed over three dozen studies, containing 8.2 million adults and 24,500 cases of liver cancer from different parts of the world.